The Museum was founded in 1923 by a group of Attleboro residents who came together to form The Attleboro Museum. The city was home to major manufacturing companies, and many wealthy residents supported the Museum by providing artwork for exhibits. Originally, there was a substantial collection of Native American artifacts amassed from the immediate area by local archeologist Maurice Robbins. Early on, the Museum was located downtown in the Bronson Building, until the city of Attleboro offered a lease for the Casino Building located in Capron Park, a popular recreational area for the bustling city’s mill workers and factory owners. Along the way, the Museum decided to separate the archeology collection from the art pieces, to form two distinct museums. The Robbins Collection stayed in the Bronson Building for many years and the Attleboro Art Museum moved to the park. By the early 1950s the Museum was recognized as an asset to the community for offering exposure to art and art education. The organization hosted small exhibitions and provided studio classes to the public in its charming, intimate, and welcoming park setting. With an increasingly active role in the community throughout the years, the Museum outgrew its original 800 square feet of classroom and gallery space. In 1994, it was relocated to its current home in a bright, more spacious site in the heart of downtown Attleboro, where it now better serves its members and the surrounding community. In 2006, a new visual identity, created by world-renowned graphic designer, Malcolm Grear, was developed to reflect the Museum’s modern vision encompassing not only the visual arts, but the performing arts as well. The new branding included updating the name, as well as the logo. 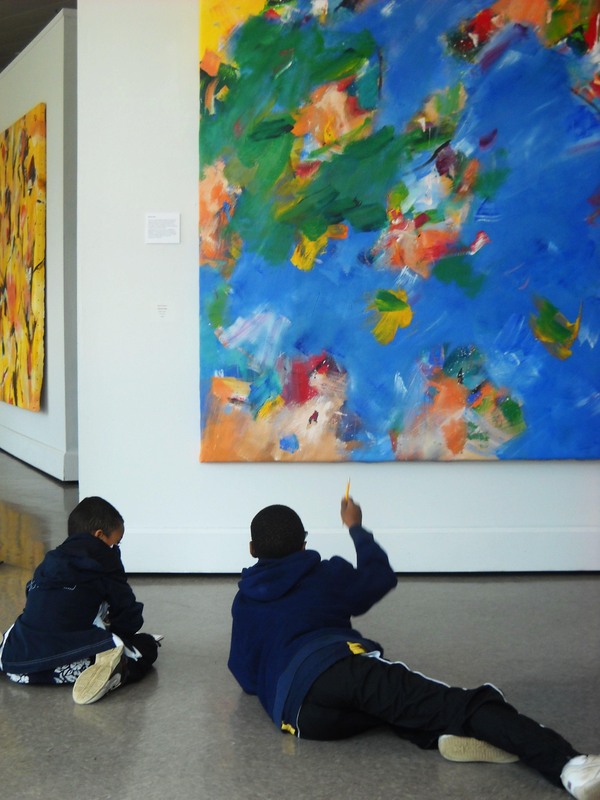 Today, serving a growing audience of more than 40,000, the Attleboro Arts Museum offers local and regional communities a variety of programming, such as its W. Charles Thompson Museum School, with onsite and satellite educational classes taught by award-winning artist and educators. The Museum continually refreshes exhibitions, and prominently displays the works of both promising and professional artists, in 3,500 square feet of gallery space, which also features 14-foot ceilings and moveable gallery walls. The Attleboro Arts Museum hosts many special events throughout the year, including its signature annual Art Auction in the fall and Flower Show in the spring. It has recently added a Craft Fair to support the work of local artisans, and a wildly popular Poetry Slam, that spotlights performance poetry from teens and adults. 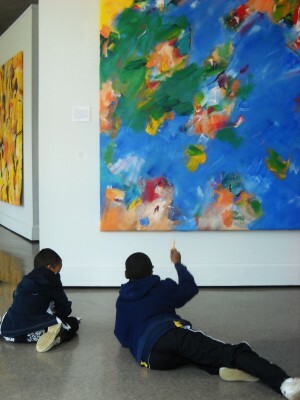 The Attleboro Arts Museum involves audiences of all ages and backgrounds in the visual arts through diverse educational programs and engaging arts experiences. We work to support the creative and artistic development of both promising and professional artists. The Museum is a privately supported, non-profit arts institution whose core commitment to Arts for Everyone guides the Museum’s programs and operations. achieves this status through exceptional visual arts education programs and faculty, inspiring exhibitions, leading-edge facilities, and an emphasis on making and presenting dynamic work in the visual, performing and language arts. distinguishes itself as a center of excellence in unique and varied arts initiatives. maintains an all-inclusive culture that welcomes a steady and widespread flow of visitors and volunteers. manages a diverse mix of income sources to support and maintain financial strength.